Our courses offer First Aid and CPR skills for individuals and groups throughout Whistler, Squamish and Pemberton. Our most popular courses include Standard first Aid, OFA Level 1, 2 & 3, CPR & AED, and Emergency Childcare courses. View all of our upcoming course dates on the calendar below. We also offer private, & on-site training courses for businesses or groups, contact us for more information and to book. Please register for courses as soon as possible to avoid cancellation. We need to meet minimum number of participants to run the courses. We can organize a course to fit into your schedule, request a course or sign up to the mailing list to keep informed. We offer First Aid and CPR training to Coaches, Personal trainers, RMT's, Hospitality Employees, Guides, Healthcare Workers, Lifeguards, Daycare employees, Babysitters, New Mom's & Dad's and many more. Increase your chances of finding work in Whistler, Squamish and Pemberton. 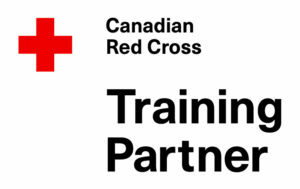 Sign up for an Emergency, Standard First Aid & CPR full course or re-certification course today! Keeping up to date with your first aid training is an important way to ensure you know what to do in an emergency situation. Don’t see a date that works for you? Sign up to get notified when new dates get released, or contact us to request a course. If you have a group of 6 or more, we can schedule private courses to fit your schedule, contact us for more information.